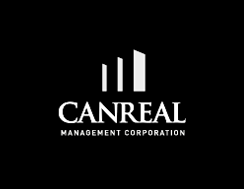 Canreal is licensed under the Real Estate Services Act of British Columbia and the Real Estate Act of Alberta. With the use of Spectra for Windows, a computerized property management accounting system and database we are able to handle all statutory and client requirements in an accurate and timely manner. Key accounting functions include establishing separate trust accounts for each client so there is no co-mingling of funds, preparing annual property budgets, administering and tracking accounts payable and accounts receivable, performing annual operating cost reconciliations, collecting and remitting HST/GST and remitting non-resident tax on behalf of non-resident clients. Property accounting can be done on a cash basis or on an accrual basis. Speak to a member of our property management team. Contact us. #409 - 808 Nelson St.
#205 - 259 Midpark Way S.E.